WordPress lends itself perfectly to a support or helpdesk style website. Using a ready made WordPress support theme you can have your support site up and running in no time at all. With the design and layout taken care of, you can focus on creating the content needed to make your support site a success with your customers. Having a dedicated support website is almost a must these days, especially for big business with a product that lends itself to lots of questions – software and apps in particular come to mind. Creating your own support website with content and articles saves your customer from getting frustrated and having to email or ring your support staff, in turn saving you from employing more staff and putting extra strain on your resources. 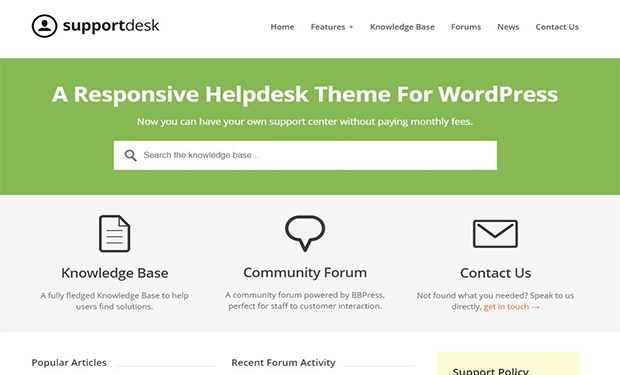 Currently the number one selling help desk theme on ThemeForest Support Desk is easy to set up with all of the features you need to get your WordPress helpdesk up and running quickly. 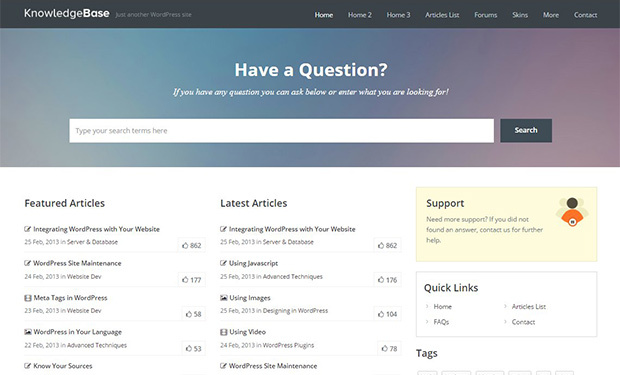 It includes a built-in forum and shortcodes for FAQs. 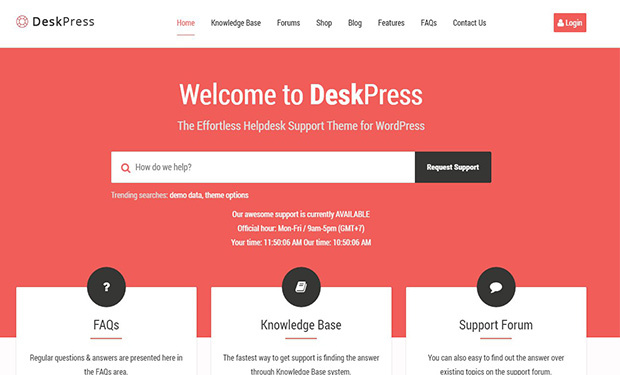 DeskPress features almost everything you could ever want on your support website, including a forum, FAQ section, full knowledge base and even WooCommerce support: A perfect theme if you have lots going on and want to not only help your customers answer questions but sell them things at the same time. Give great support and make money at the same time, what could be better! 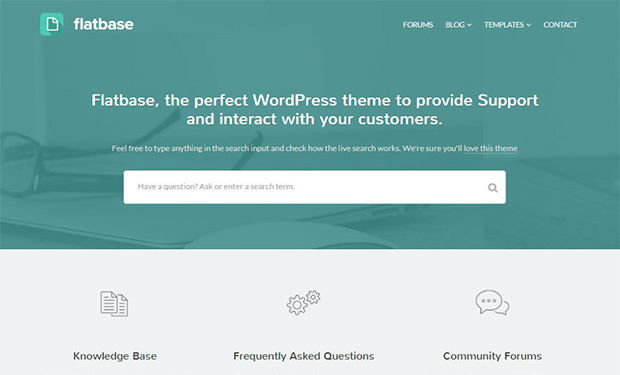 The latest theme from HeroThemes (Experts at WordPress helpdesk themes) includes all your standard helpdesk features plus some great new ones such as in-depth analytics. These analytics will tell you exactly what your customers are searching for and whether they succeed in finding it or not – making it super easy for you to know what article you need to write next. This is a great support theme for a professional company with loads of features and advanced analytics so you can be sure you are giving your customers what they need. It included great support for longer articles with the built-in content links letting the user jump to any section on the page. 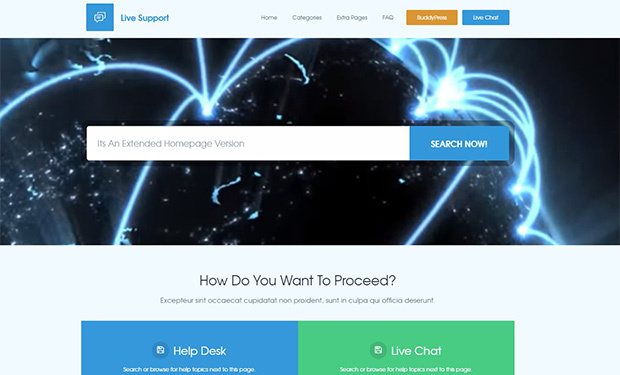 Live support comes with lots of options, including 4 different home page styles, multilanguage support with WPML, shortcodes, video backgrounds and an easy to use options panel. It’s also compatible with BuddyPress for some great looking forums. 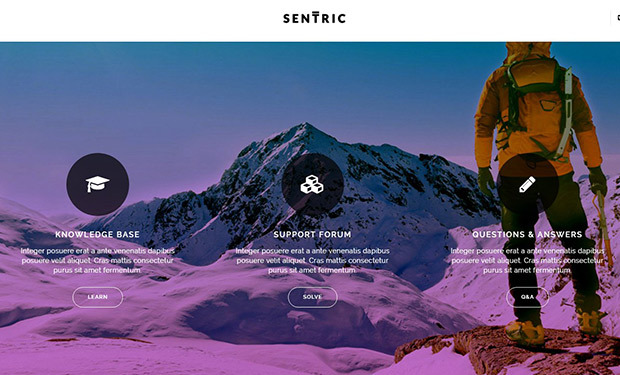 This is a unique WordPress support theme as it includes a fully functional ticketing system. 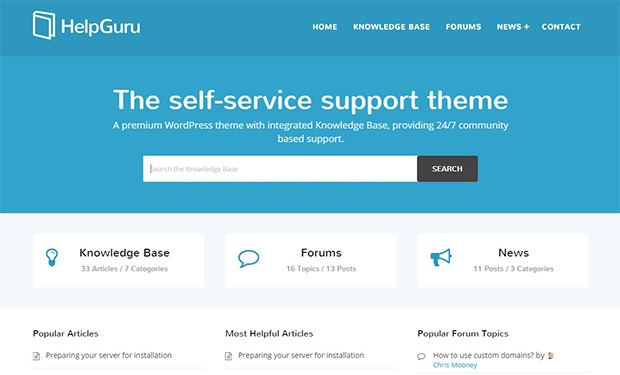 Allowing you to deal with every aspect of support easily with just the one theme and no need for extra plugins or third party systems. 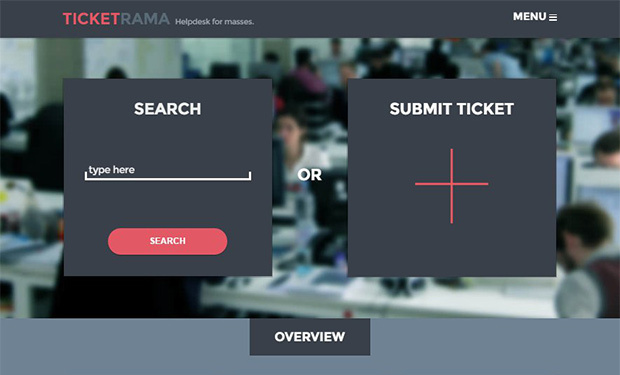 Ticketrama also has all the standard knowledge base features allowing you to create in-depth articles with shortcodes and FAQ support. Sentric looks great and has loads of cool features to go with it. The features that stand out in this theme are it’s forum monitor features, supplying a handy page for admins and forum monitors to filter through and find any topics that need an answer or input. Altera is one of my favourite helpdesk themes for it’s clean and stylish design. It comes with loads of features with a heavy emphasis on widgets and widget digitized areas, making everything very customisable. Altera is certainly worth a look if you are looking for a modern stylish design to go along with your helpdesk. This is another theme that has a nice clean layout and gets straight to the point with top articles easily featured on the home page and everything laid out in a user-friendly manner for your users to find exactly what they need with minimum fuss. I particular like the article feedback feature, where it lets users send a message with feedback so you know exactly what you need to do to improve. Plus with built in forums this is a perfect all rounder for your helpdesk. A similar theme to HelpGuru above, but with its own unique style. You’ll also get a couple of nice extras such as a smooth gallery and masonry style blog layout. 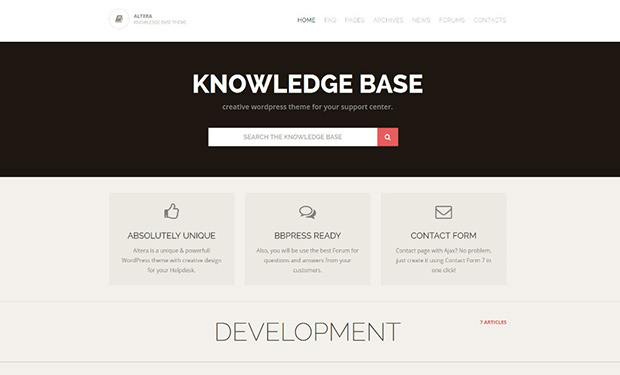 …and finally, turn any theme into a knowledge base! 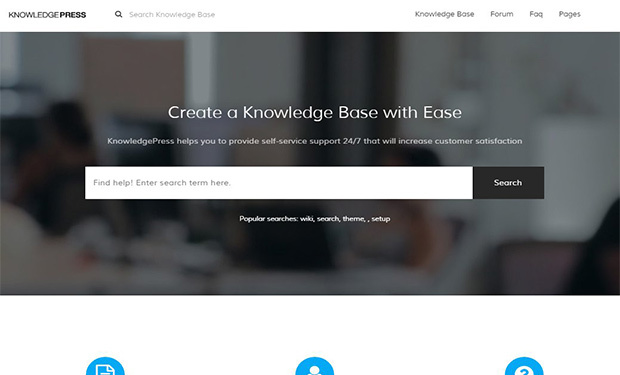 I figured it’s worth mentioning HeroThemes knowledge base WordPress plugin as well – this plugin turns your existing theme into a Knowledge base/helpdesk. 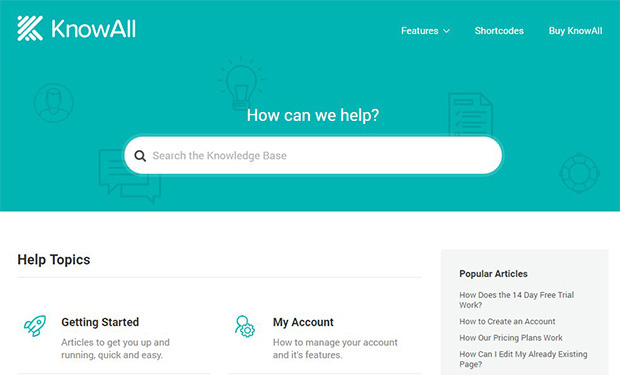 Integrating seamlessly with your current website you can add some new knowledge base pages and take advantage of analytics, article feedback, instant answers and much more and keep the functionality and layout of your current theme. If I’ve missed any worthwhile support or helpdesk themes please let me know and I’ll get it added to the list.